Butterfly Baby Place: Giveaway Time!! Well my friends, I've reached 500 sales in my shop and that means it's time for a giveaway! I wouldn't have gotten there without each and every one of you supporting me, so it's my turn to show some appreciation. The lucky winner will be able to choose which they'd rather receive. When posting comments, please remember to leave your contact information in one of the posts so I know how to get in contact with you if you win. Winners will be chosen by using a random number generator. So the more you do, the better your odds of winning! I'm in love with your pillowe case dresses, especially the Tangerine Rose you have pictured above! 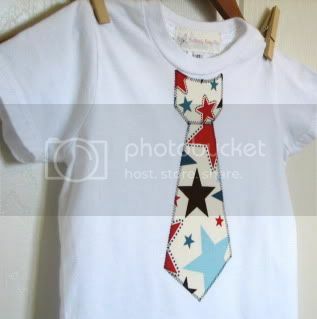 I love the boy tie shirts. They are too cute!! I posted a link to your give away on my personal facebook. Love your little model, but getting into those twirl skirts! Hope you don't mind but I used your pictures, but they have been credited and link back to you. Let me know if you want me to take them down. I absolutely love the Peasant Dress made with Alexander Henry's Mocca Fabric. You do beautiful work! Wish I had a girl just to dress her in the dresses! 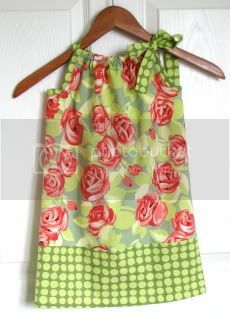 My favorite is the Baby or Toddler Pillowcase Dress In Michael Miller Orchid and Spa - love that pattern!!!! I also am no following your blog. I really like your shirt and skirt sets!! Im already a fan on FB!! I ♥ the pillow case dress in Lilly Espresso! So cute! I ♥ those colors together! I just spent 20 mins looking through your shop to tell you my favorite thing, and let me tell you! It was HARD!! You have SO many beautiful things, Jess. I think my favorite is the short sleeve peasant dress in park slope. Although a runner up- your pillow case dresses- in any fabric really! The girls STILL love their pillow case dresses!! I'm following you on FB!!! I just now started following your blog -- how was I not before?! I love your aprons! The one you made for Natalie is adorable :) You do beautiful work! I became a fan on Facebook (jessie andersen) and I would have to say that my FAAAVORITE things are you children's aprons. 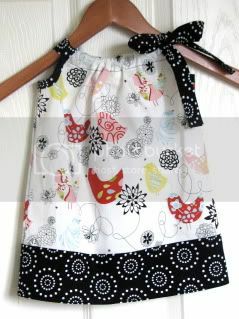 <3 LOVE the prints, and I can't say not to something that gets kids helping mommy out! :) I've stalked your shop before and secretly hope my next baby is a girl! I blogged your contest too! Congrats on 500 sales - its obvious why your shop is so successful - everything is so well done! I love your twirl skirts. Can just imagine my baby girl twirling around in one! I LOVE your pillowcase dresses! I would love for my girls to have one! just became an FB fan. My favorite item is the peasant dress in mocca. It's adorable. Entry #1: I LOVE your twirl skirt and shirt sets. 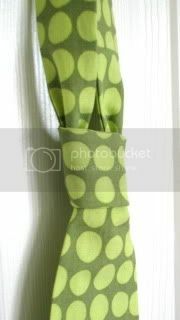 My favorite fabrics are Daisy Chain and Lime Paisley. Entry #4: made a status about your giveaway on my facebook. Abd the black and white pillowcase dress on the blog. ok, I added you on twitter and fanned you on facebook, tweeted about your give away and posted about it on face book! Can you tell I want the dress? I love the pillowcase dresses!! So adorable! My favorite is the "Carnival in Bloom" one. I love your pillow case dresses and the tie shirts....adorable!! So darn excited I stumbled upon your blog and awesome giveaway!! Pillowcase Dress in Apple in Cream for Baby or Toddler and the one in the Amy Butler Lotus Spring Flower Linen. I became a fan on FB, too. Posted about giveaway on Facebook! This pattern is so lovely! I absolutely love it!!! I am following you on Twitter! tweet, tweet! I has posted your link on my FB feed! Love the Lantern Bloom Tiles dress! I love the Peasant Dress in Mocca and the siblings shirt - thing 1 and 2!!!! I have a boy,and I would love to see monogrammed shirts for boys. Set of Two Pillowcase Dresses in Cyress Paisley RESERVED FOR ladybug1604. But I really like them all. I have to buy one. I have 3 girls. I also just became a FB Fan and a Twitter Fan. Hope I win a dress. I absolutely love the sibling sets! What a great idea! I love your twirl skirts! I love the twirl skirts, they are so sweet! I love the colors of the morning glory linen fabrics. This set would look so cute on my daughter who is 6 months old. I love them all, but my favorite is the Lily Expresso pillowcase. Beautiful! I love the rich colors and cap sleeves! I love the twirl skirt and the pillowcase dresses...also love the sibling sets!